In cold climates of North America, dahlias are known as tuberous-rooted tender perennials, grown from small brown biennial tubers planted in the spring. These colorful spiky flowers generally bloom from midsummer to first frost, when many other plants are past their best. They range in color and even size, from the giant 10-inch "dinnerplate" blooms to the 2-inch lollipop-style pompons. Most varieties grow 4 to 5 feet tall. Though not well suited to extremely hot and humid climates, such as much of Texas and Florida, dahlias brighten up any sunny garden with a growing season that's at least 120 days long. 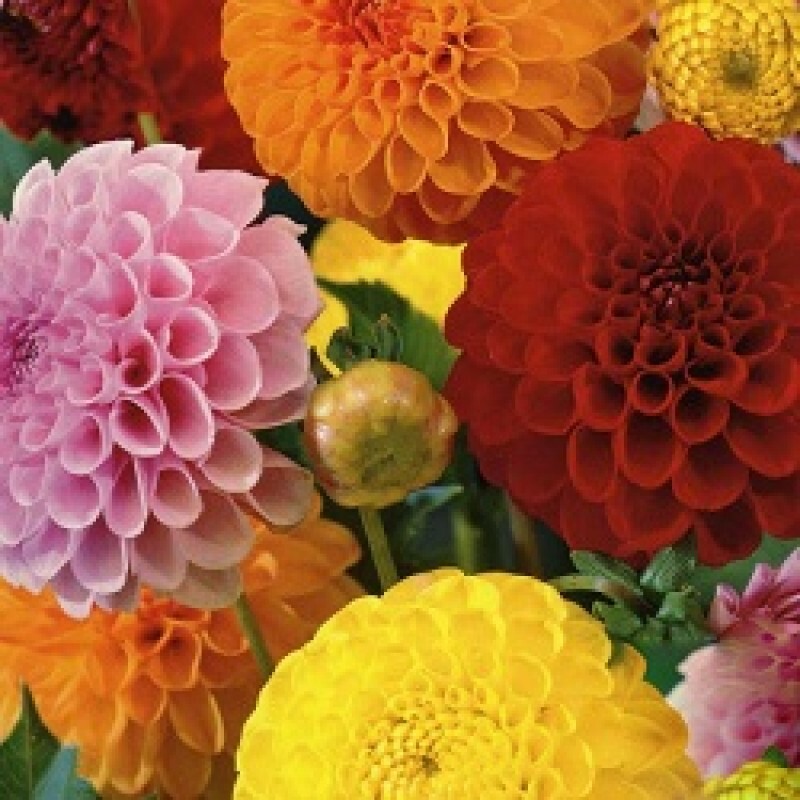 Dahlias thrive in the cool, moist climates of the Pacific Coast, where blooms may be an inch larger and deeper. fresh mix color Dahlia fresh and healthy Bulb. Best time to plant grow: Rainy, Winter & Summer. Dahlia Blooms in bunch and colorful flowers.